Last time I had just begun, and now I’m just over a third of the way through, the over 400 page Ten Years Beyond Baker Street, by Cay Van Ash. It’s a book I’ve been intending to read for more than a decade, and I’m still enjoying it. Other than that, I’ve read just a handful of short stories. Barbara was reading Hades by Candice Fox, a book she saw in a Mystery Scene review. She gave it up, saying it was too gruesome and dark, even for her. It turned out to be not a mystery, but rather straight horror, not her favorite. 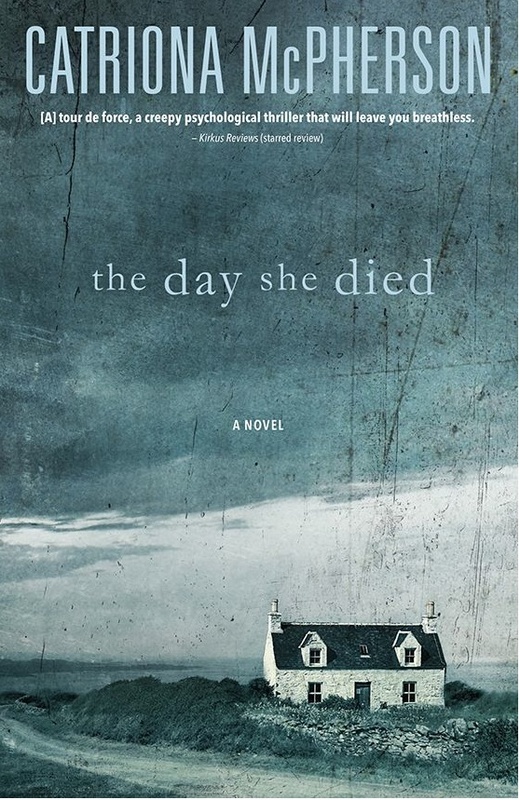 Now she’s trying another she saw reviewed there, The Day She Died by Catriona McPherson, a new author to her. She reports this one is also very, very dark. Though the book won an Anthony in 2015 for best paperback original, she’s not sure if she’ll finish it. For her next book, she’ll certainly be on the lookout for something a little lighter. I’m recommending something by Andrea Camilleri, but we’ll see what she comes up with. I just finished A Brief History of the Dead by Kevin Brockmeier (which I liked a lot) and just before that, Mildred Pierce by James M. Cain. I cannot say I enjoyed that one but written very well, of course. Now I am reading Flowers for the Judge by Margery Allingham, a reread. Tracy, I’ve never found Cain, or Woolrich, for that matter, very enjoyable. I prefer the Hammett-Chandler-Ross Mcdonald books to theirs. I think I’ve read that Allingham, I read many of them, but I’m not sure. Continuing my Roald Dahl-athon, I read CHARLIE AND THE CHOCOLATE FACTORY and THE BFG. Of the two, I liked THE BFG better — probably because of the fart jokes and the appearance of the Queen. I think I’ll catch the movie when it comes out on Netflix. My FFB this week was ISAAC ASIMOV’S WONDERFUL WORLDS OF SCIENCE FICTION #6: NEANDERTHALS, edited by Robert Silverberg, Martin H. Greenberg, and Charles G, Waugh, the only book in the series in which Asimov was not listed as an editor. I also finished the first book in the series, INTERGALACTIC EMPIRES, as well as STARSHIPS, edited by Asimov and Greenberg. As expected, all were good books with some great stories mixed with some very good stories. Another week, another Reacher…this time GONE TOMORROW, which has Reacher moving between Hope and Despair, two towns, one of which (guess which one) harbors a dark secret. The plotting was a bit forced in this one. Not the best in the series that I’ve read. Finally, I read the Stephen King-edited SIX SCARY STORIES, a slim book containing the top half dozen horror stories from a contest sponsored by King’s British publisher. Nothing special here — just solid stories mostly reworking old tropes. Each could have come from issues of the better horror magazines. The book was published by Cemetery Dance so it’s an attractive well-made volume and has a great cover painting by Vincent Chong. It’s warmed up here and we’re having beautiful weather. In a fairer universe the snow you have would have been spread evenly across all fifty states, but the universe is not fair, so stay warm while you and Barbara hunker down. Stay safe. Read a lot of books. Soon you’ll be able to get down that hill. Like that King book, many of the Asimov anthologies were just a means to profit, and I never expect more than 2 or 3 really good stories in them. The is true with many of the Groff Conklin anthologies. Still, that’s the nature of anthologies, isn’t it? Some good some not so much, a few really good. Too dark for Barbara? That’s dark! She should read the Jodi Taylor book, JUST ONE DAMNED THING AFTER ANOTHER. I really liked it. Jackie will be reading it when we get home and I definitely will be reading the rest of the series. I doubt the Taylor is her style, though I liked it a lot, if it’s the one I’m thinking of…I’ve read three of hers so far. Is it the first one? I have a short story that was epublished on Christmas I have yet to read. Yes, the first one. I just meant that sometimes you need a change of pace. This week I finished Ann Cleeves’s HARBOUR STREET, another solid mystery featuring the unkempt but perceptive Inspector, Vera Stanhope. This story involves the murder of two disparate women–one an older but still glamorous churchgoer renowned for her acts of charity, the other a mentally-ill, alcoholic prostitute–connected by the people and places on Harbour Street. Very good. We’ve also started watching the “Vera” series on Hulu. I think Brenda Blethyn does a good job as Vera, but her character isn’t quite as tough as she is in the books. I’m now halfway through Adam Nevill’s THE RITUAL, a real crackerjack of a book. Like Barbara, I don’t read too much in the horror genre because I find that plot and character-development are often sacrificed (pardon the pun) for outlandish displays of gore. But THE RITUAL does a good job of balancing all the elements: four 30-something men–friends since their university days–meet up for a hiking holiday through some old-growth Swedish forest. Because it’s quickly obvious that at least two of the men are in no shape to make the hike, the group attempts to find a shortcut back to civilization. Then they get lost. Then the find an unidentifiable skinned animal strung up between two trees. Then they take shelter in a derelict cabin. Then things get really dark. Nevill does a great job with physical descriptions–you can really feel the misery of being caught in a wet, cold, ominously-quiet forest with no idea of how to get out. I have a few non-fiction title in the on-deck circle for upcoming reading, but we’ll see what the library list brings in. I have a feeling that by the end of this week, I’ll be looking for some real comfort reading! I have read all of Nevill’s books and have really enjoyed them My favorite being Last Days.I haven’t been reading a lot of books this week, instead catching up on short fiction in F&SF and Asimovs, esp stories written by Matthew Hughes, Robert Reed and Ian MacLeod. Among novels I read this week were The Bird Tribunal by Agnes Ravatn and The Expats by Chris Pavone. Found both okay but nothing special. Also still reading Eon by Greg Bear which I like but is taking awhile to get through. Also reading some short stories in Bridging Infinity edited by Jonathan Strahan. I’m going to try one of the Nevill books, Steve. I have Bridging Infinity but have not yet started it. Deb, nice long comment.Thanks. I have read a Cleeves, at some time, long ago, with no memory of it. But I thought it was a British cozy, which HARBOUR STREET does not seem to be. I don’t know where in the series that one is, but will put a library request on it. I read Barbara your comment on Adam Nevill’s THE RITUAL, and she has put a library request on it. She says she hopes it not gruesome. I think many of us will want comfort reading later this week. I’m planning to ignore Friday’s “event”, though Barbara wants to watch and see. I simply don’t foresee any improvement from previous behavior, and the GOP are rushing to undo everything good that’s been done in the last 8 years by the fine president they hate. I definitely wouldn’t classify Cleeves’s work as “cozy”–whether her Shetland series with detective Jimmy Perez or the Vera Stanhope series. I would classify them much more as “police procedurals” where a crime (usually a murder) is committed and the police have to sift through the backgrounds of the victim and suspects. And I definitely find comfort–which, as you note, we’ll soon be needing–in that sort of book. Please let Barbara know that THE RITUAL is a horror book and does have some dark passages, but it’s not wall-to-wall gore. It has some good interaction between the characters and some very vivid descriptions of being in an old-growth forest. I believe Cleeves did a series – perhaps the one Rick means – about two bird watchers. Perhaps that was more cozy. The Perez series is also being done for British television, under the title SHETLAND. We saw the first two series. Douglas Henshaw plays Perez. Yes! That’s the Cleeves series I read, or at least one of them. Thanks, Jeff. Working on the John O’Hara collection and still trying to finish THE SILENCE OF THE SEA, which I lost track of with whats going on. Patti, you’ll get back on track soon, as will we. I have a huge O’Hara collection, and it’s so big it’s intimidating. Still, never started, never finished. I’ll get going on it soon. I have the same problem with a Roald Dahl collection. I’m reading EMERALD CITY, a collection by Jennifer Egan I downloaded while waiting for her novel to become available, and I like it. Will have to check my notebook later as we’re at Starbucks (where else?) on the road. I was waiting for the first Vera/Ann Cleeves book to be available, Deb. I will try it. So, are you all-ebook this trip? 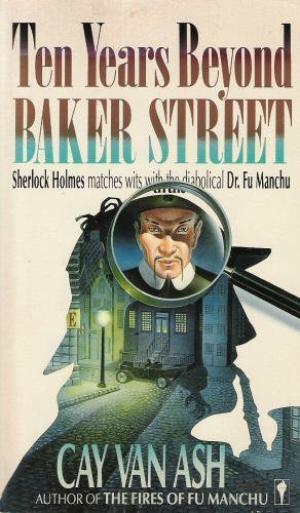 It appears the first Vera book is being reprinted, my library has it listed as “on order”. I put in a hold request. Is Emerald City anything to do with Seattle? Or Oz? Emerald City is actually New York here, as the story is told from the point of view of a young photographer involved with a model trying to make it in New York. I like her writing so far. I do have 6 or 8 books along with me. They are packed away and I only have the Kindle with me on the road, and the phone and tablet. I wonder why they are calling New York “Emerald City”? I currently have 26 library books stacked up. I have no idea how I got to this state of affairs. So, to resolve this issue I’m busy reading library books this week in the order of their due date. Hopefully, I can whittle them down to a manageable number. I just finished THE CASE AGAINST SUGAR which frightened the pants off of me. Instead of being a benign substance, sugar is the culprit behind the rise of cancer, heart disease, and diabetes. Diane and I are going to reduce the amount of sugar we eat in 2017. Yes, sugar is the latest medical villian. Of course the book is intended to scare you, and it would be a good thing to reduce sugar, both you and I have diabetes issues. You could always just take a bunch of those books back to the library, and start over, you know. 26! Wow. I used to have a limit of 10, then it was taking out 10 at a time, but I don’t think there is a limit now, other than if someone requests a book you have out. If not you can renew them repeatedly. But once I get to 10 books or so I start to feel overwhelmed and start looking for things to return. There’s a limit here, maybe 10, but I never get that far, as I feel way too pressured. Right now I’m reading Sebastian Bach’s autobiography, and an SF book by David Brin called EArth. Have always enjoyed David Brin, can’t remember if I read Earth or not. Not interested in hair metal so the Bach is not something that would appeal to me. Both sound good to me, Charles. Brin has a new book out, short stories, I think, but I’m a book or two behind, with Existence up next. The Brin book is a anthology he edited. The other books I finished last week were MINIATURES by John Scalzi, his collection of very short stories, and Lawrence Block’s SINNER MAN, recently rediscovered and republished by Hard Case Crime. I didn’t find it particularly believable but I liked it nevertheless and it was a fast read. I’m still waiting for the library to get Miniatures.